The UGC Bordeaux' (Union des Grands Crus de Bordeaux (UGCB)), annual release tour visited Chicago this week unveiling/showcasing their 2016 vintage release wines. 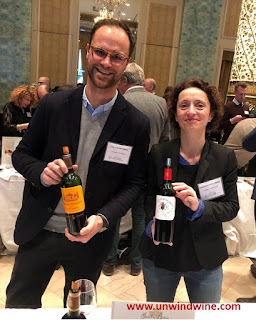 The Union is the association of 134 of the top premier estates from the most prestigious Bordeaux appellations. This year's North American tour visited New York, Toronto, Chicago, LA and San Francisco. 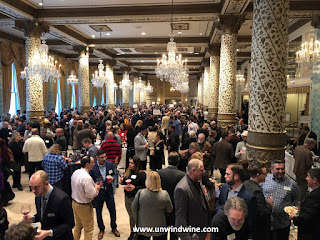 As in previous years, our 'Pour Boys' wine group helped host the event in Chicago at the Drake Hotel in the elegant grand ballroom (shown below). 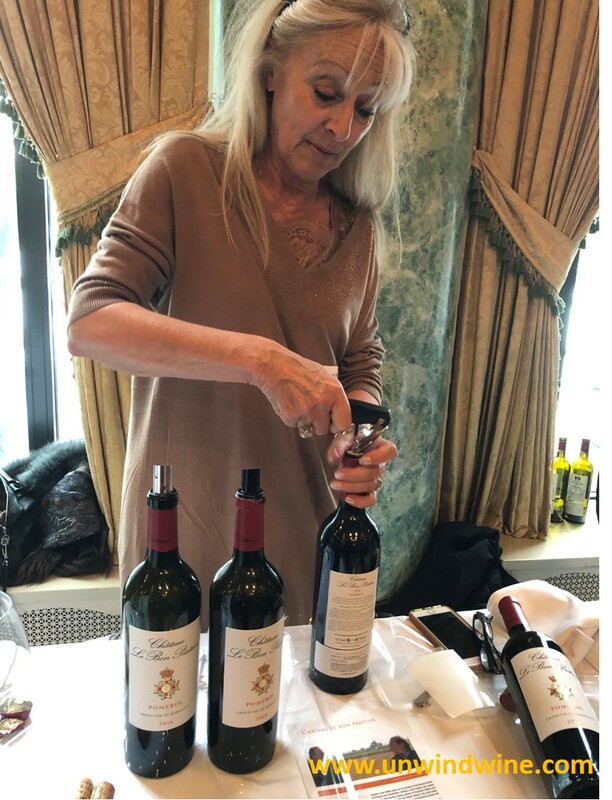 We work with the Balzac team preparing the room, checking in trade registrants, and standing in for producers pouring their wines. As has happened several times in recent years, several producer's were delayed in travel and we were called in to service to pour wines, hence our moniker, 'Pour Boys'. Close to a hundred producers were represented at the event that was attended by over five hundred members of the trade, media and industry. 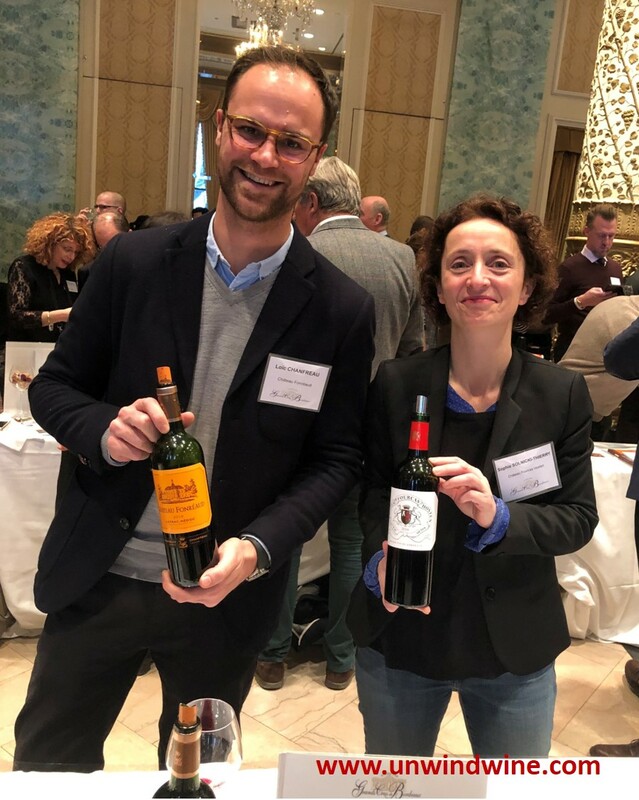 This annual roadshow is a marathon trek across North America by the producers and their representatives offering wine professionals and eonphiles the chance to meet the Bordeaux principles, winemakers and commercial directors. 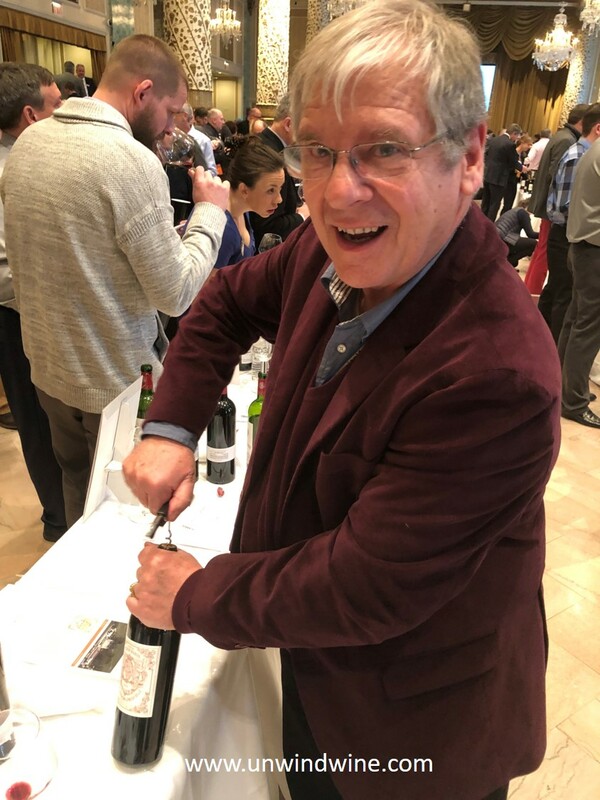 As I've written in previous years, we appreciate the investment in time and effort expended by the producers and winemakers to visit Chicago. It provides a wonderful opportunity to meet them firsthand and discuss their perspectives on their brand, approach to crafting their style, their history, businesses, and their vintages including, of course, the current release. As a collector and holder of a significant collection of Bordeaux wines dating back four decades, I hold as many as a dozen vintages or more of some of these labels. 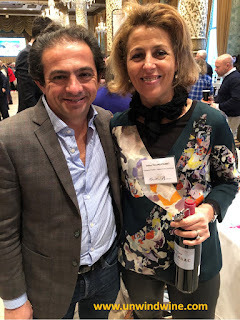 Meeting the owners, family members, producer / winemaker / representative is a great privilege and offers a collector the chance to learn more about their investment and wines. 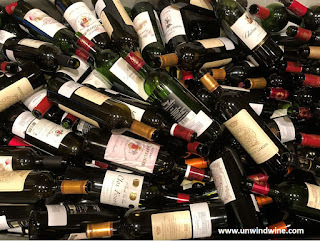 As such, I tend to focus on and taste those wines that I know well and of which my wine buddies and I have holdings. 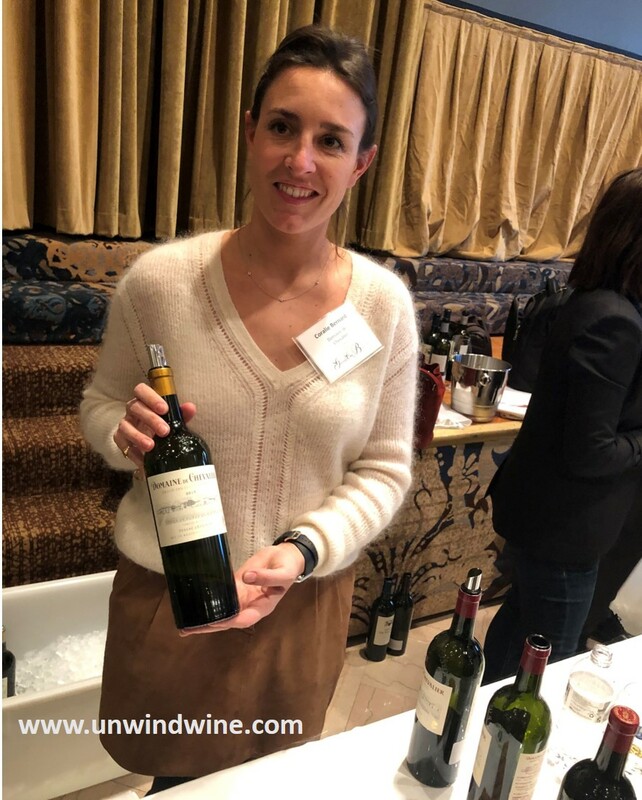 This was the ninth Bordeaux release event that I and my wine buddies assisted the team at Balzac Communications to work the event, helping with set up, logistics, and standing in to pour wine for any featured producers that were not able to attend in person. Earlier UGCB and related events are featured in earlier unwindwine blogposts. 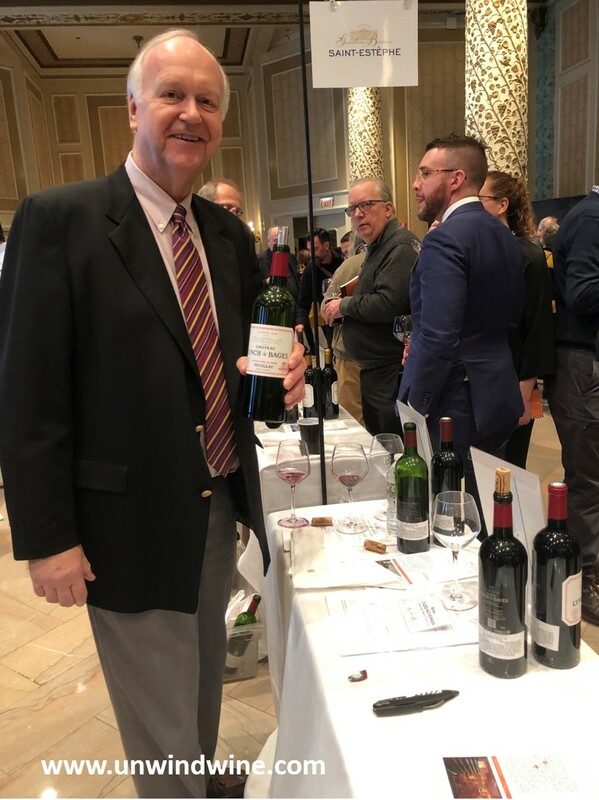 Again this year as in several earlier years, winter storms delayed or disrupted travel prohibiting some of the ambassadors to get to Chicago for the event, calling us to duty standing in, performing our duties as 'pour' boys. This year's 2016 vintage was spectacular with several of the producer's having been awarded 100 points by the critics. 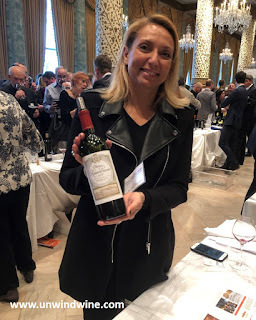 I stood in for the Pauillac producers whose arrival was delayed by flight disruptions coming in from Toronto. 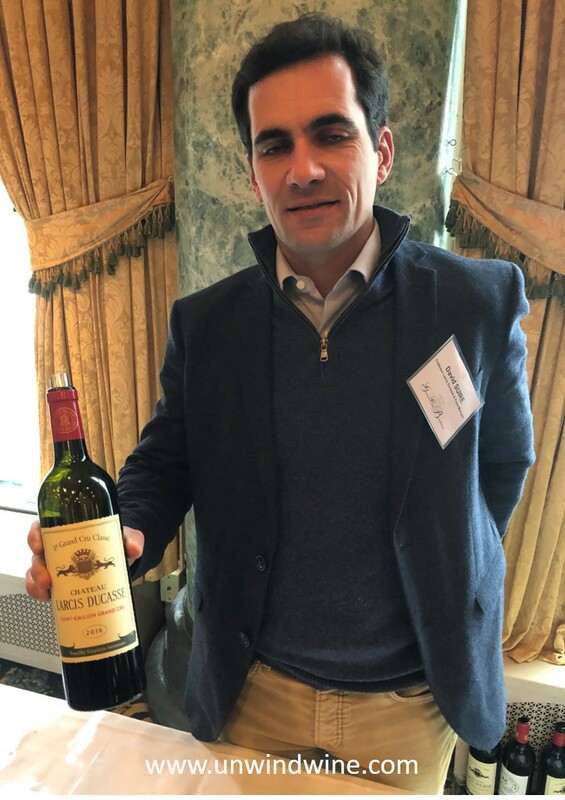 It was a great honor to pour some of my absolute favorite wines: Chateau Lynch Bages, Chateau Longueville Baron, Chateau Pichon Comtesse de Lalande, Grand Puy Lacoste and Grand Puy Ducasse. 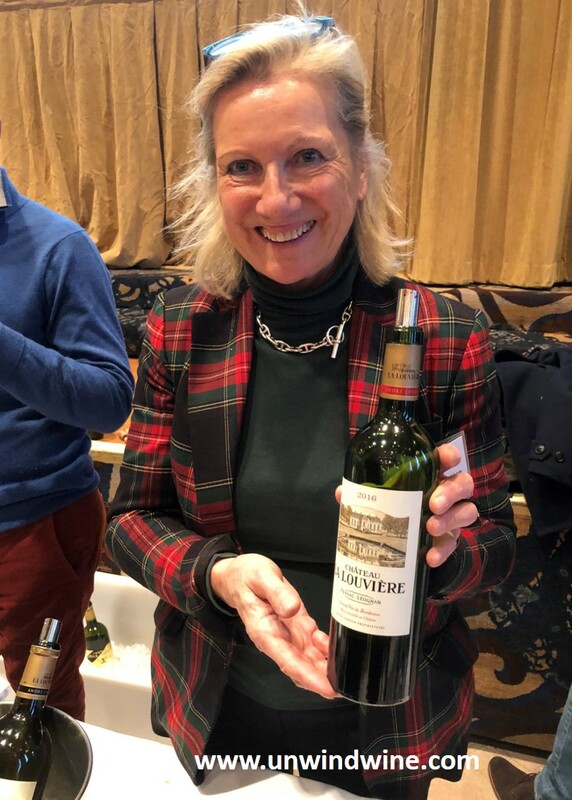 I also served Chateau Les Ormes de Pez. The Pichon Lalande and Lynch Bages were spectacular, both standouts of the tasting. 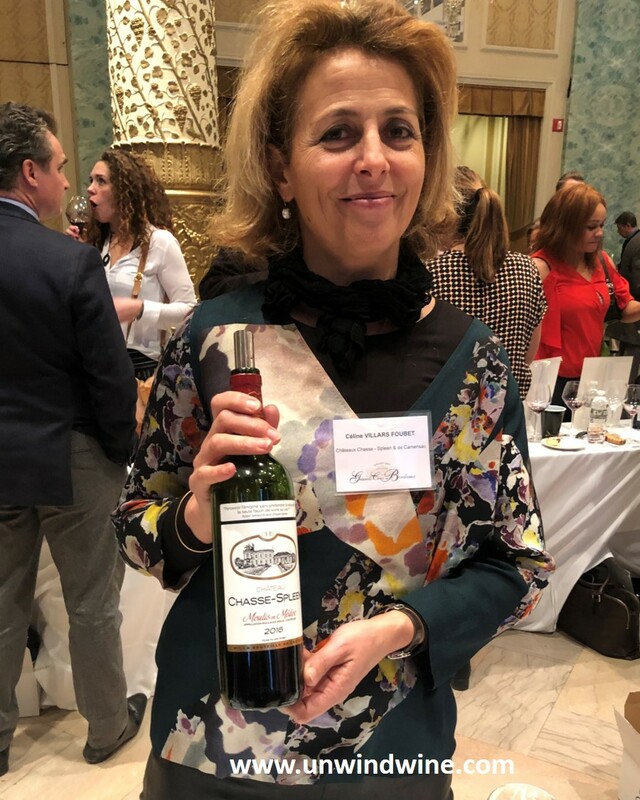 There were so many great wines in this vintage release. As is the case in a great vintage, all boats rise with the tide. Great wines are tremendous, but in a great vintage, the lesser second and even third labels are also wonderful. 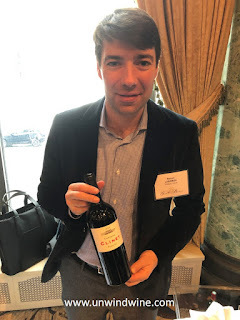 These often provide substantial QPR - quality price ratio, especially when the premier first labels often escalate in price due to demand for such a vintage. These vintages offer great opportunities for folks to stock their cellars in super wines at great values since they can fill in with the second and third labels at substantial discounts to the first premier flagship label of the brand. 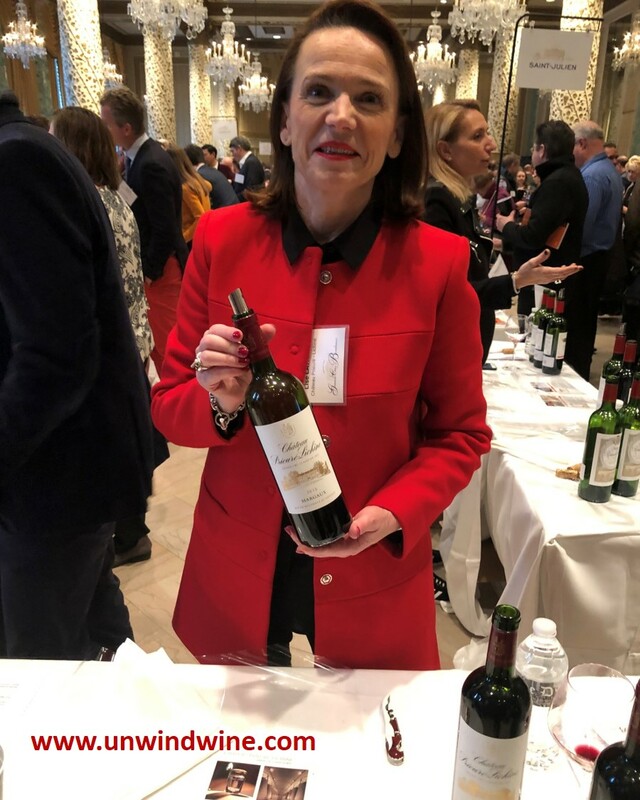 The event is sponsored by the Union des Grands Crus de Bordeaux, (UGCB) under the leadership of President Olivier Bernard. It is hosted and orchestrated by Balzac Communications, boutique wine marketing and communications consultancy firm in Napa, under the leadership of Mike Wangbickler, President. Attending this year too was Paul Wagner, founder and President Emeritus of Balzac. 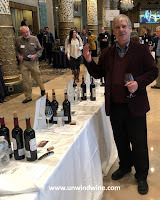 Paul is a founding member of the Academy of Wine Communications and a leading member of the American Wine Society. It was great to see Paul enjoying his passion and remaining engaged whilst in retirement. The afternoon session is for the benefit of the press and trade and wine professionals. 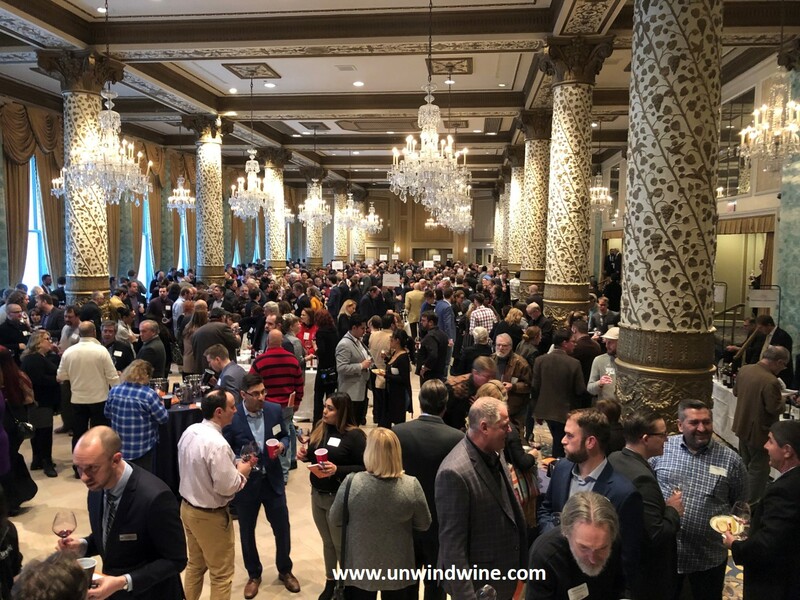 As is customary in Chicago, Binny's Beverage Depot, the wine superstore offers tickets to the evening session, open to their valued customers and the public. 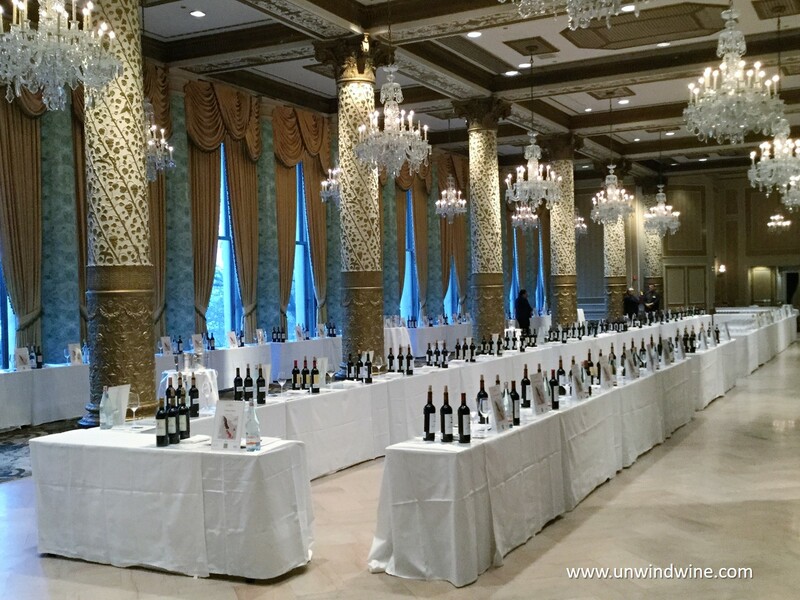 This year, over four hundred collectors and vinophiles registered for the event. 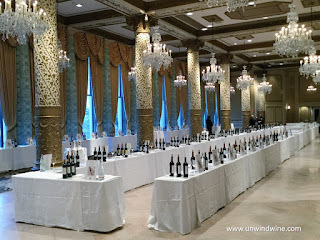 Scene's from this years' vintage release tasting. Chateau Chasse-Spleen has been managed by women for the past thirty years: Jacques Merlaut’s daughter, Bernadette Villars, starting in 1976, followed by her daughter, Claire, beginning in 1992, and now her sister, Céline, shown above. 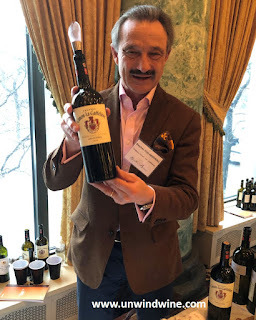 Château Canon-La-Gaffelière, sans his signature scarf. 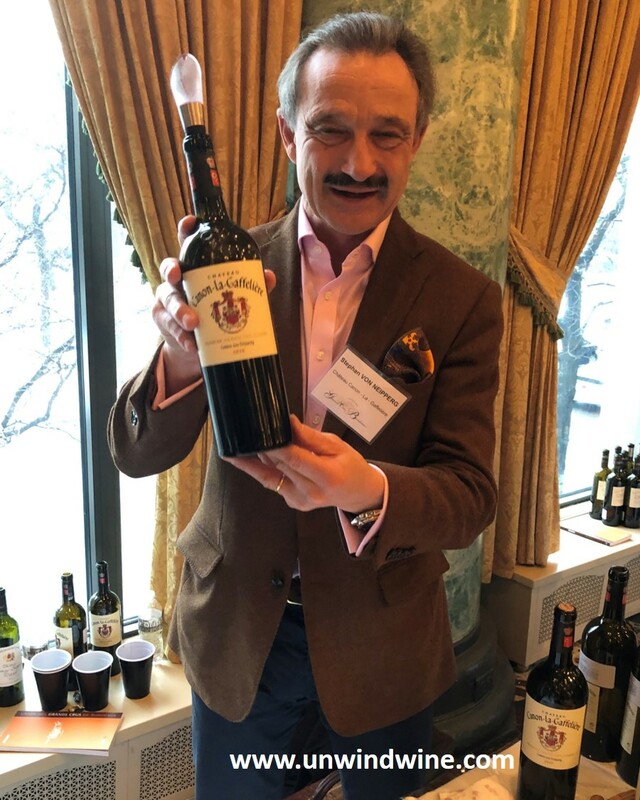 Representing eight centuries of family winegrowing tradition, Count Stephan von Neipperg (above) has succeeded in promoting Château Canon-La-Gaffelière to Premier Grand Cru Classé de Saint-Émilion status. Dany Rolland, wife of legendary winemaker Michel Rolland, co-founder of Rolland Collection family business, including Bordeaux laboratory specializing in wine analysis in the Right Bank town of Libourne.